As I set off for work this morning I notice several things: Big Red has a puncture, there is a big, badass, black, bug sitting on the saddle and that I have forgotten my access badge to the university. I rush out of a lunch with the conductor of the Tokyo Symphony Orchestra to the local mega hardware store. There I find a tyre, an inner tube and some tyre levers. The tyre and inner tube are a size larger than Big Red’s shoe size. You can’t always get what you want but you might find that you get what you need. 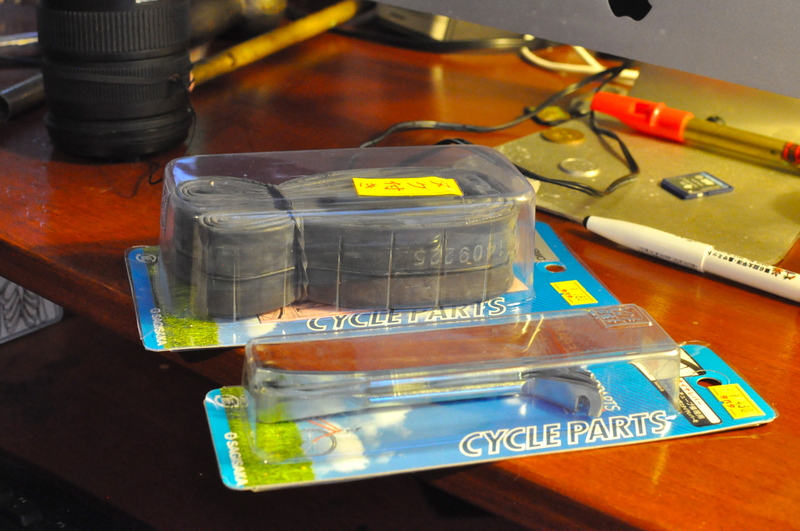 Cycle Parts is a very cool expression in Japan. When I get home there is Billy, for so shall he be named, sitting on the bike. I shoo him away zennishly and remove the front wheel for repair. I prop the new tyre and the old against the wall whereupon Billy scuttles across and take ownership. He sits on top of the wheel daring me to move him. He is telling me something. I feel the time is not propitious for tyre repair. Billy will decide. 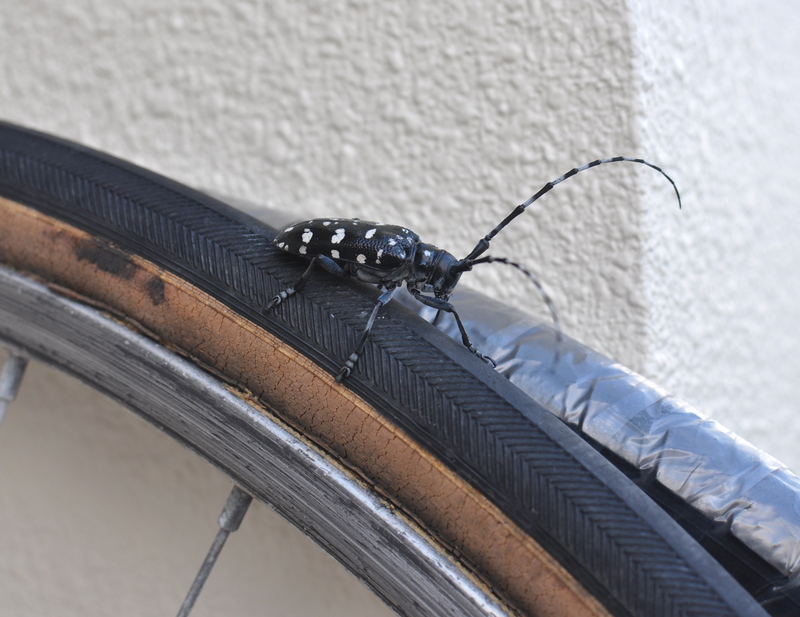 This entry was posted in Uncategorized and tagged Bike, Billy, Bug. Bookmark the permalink. Billy Bug mighty fine bug…particularly those antlers.